Need a WordPress Website? No Problem! 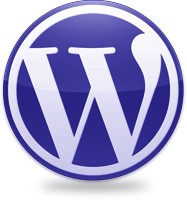 WordPress is more than just a popular blogging platform. It's also a powerful Content Management System (CMS) that is an excellent tool for both small and large business' websites. If you can think of it, WordPress can handle it, and we can build it for you. Leverage our team's experience to bring your project to life. Contact us today! If you run a multi-site installation of WordPress, the thought of implementing a dramatic change that could impact every site on your network is enough to cause you grief. However, don’t dismay. Use this simple step-by-step instructional guide to learn how to change the primary domain name of your WordPress multi-site network.